We recall the letter sent by the Tamil Civil Society Forum (TCSF) to you on the 12th of February 2015 prior to your decision to defer the release of the OISL report and the TCSF’s statement dated 20 February 2015on the decision to defer the report. We also refer to the TCSF memo to the UN Special Rapporteur on the Promotion of Truth, Justice, Reparation and Guarantees of Non-Recurrence handed over to him in Kilinochchi on the 1st of April 2015 wherein TCSF referred to reasons, which in their opinion augur against the possibility of establishing a credible domestic mechanism in Sri Lanka. Your Excellency, in your opening statement to the 28th session of the UN Human Rights Council in March 2015 you noted that one of the reasons for deferring the release of the OISL report was the ‘broad signals of cooperation’ that you had received from the Government of Sri Lanka. In your speech that day you noted that Sri Lankan authorities must consult with the victims to ‘design mechanisms that will work and not repeat the failures of the past’. Similarly in your opening speech to the 29th session of the UN Human Rights Council on 15 June 2015 you reiterated the importance of conducting a transparent and inclusive consultative process in the design of a domestic mechanism for accountability. We write to state with regret that we are unaware of any such process of consultation that the Government of Sri Lanka has initiated with the victims. A huge majority of these victims as you are aware are from the Tamil community and the government has not had any consultation at all with the Tamil community in the design of a mechanism. It is in this context that we take note with serious concern the recent announcement by the UN Resident Coordinator in Sri Lanka that the UN has already decided to fund a domestic mechanism. 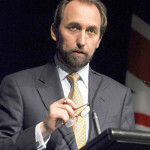 The Resident Coordinator had said that the UN had decided to provide ‘technical support to establish an inclusive and credible domestic mechanism to address human rights violations and accountability and provide redress to victims and conflict affected groups, including families of the missing, in line with international standards’. 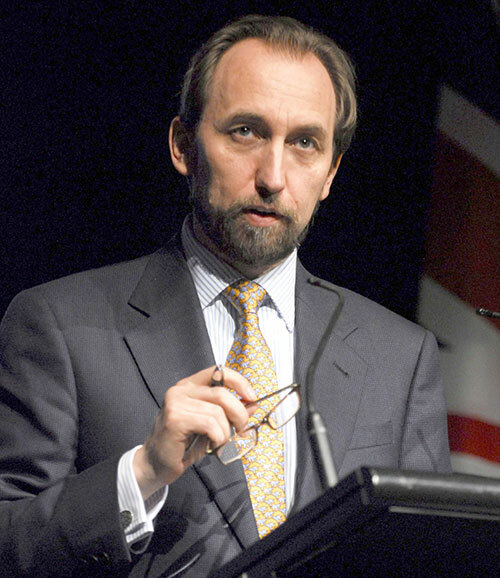 This component, the announcement further added, will be led by your office (OHCHR). A) How could the UN system decide on supporting a domestic mechanism in abstraction when there has been no proposal or consultation about one? B) Does this announcement not pre-empt the recommendations of the OISL report and any possible follow up action by the UN Human Rights Council and other UN bodies? As you are well aware the credibility of the UN in the eyes of the Tamil people remains very low. The withdrawal of the UN during the height of the war in 2008, the lack of action on the part of the UN in drawing the attention of the international community for abuses being committed by all parties to the conflict, as they were being committed during the war and the deferral of the OISL report are some reasons that have contributed to this lack of confidence. The announcement by the UN office in Sri Lanka that they have already decided that a domestic mechanism is the best way forward for accountability in Sri Lanka comes as a shock to those of us who have been advocating for genuine accountability. We urge you to take note of the contents of our letter and act swiftly to prevent any undermining of the OISL process.